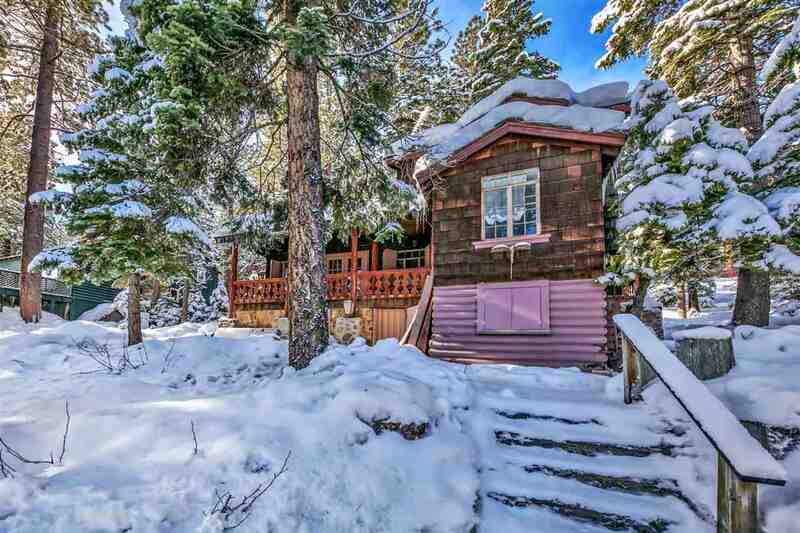 Wonderful Old Tahoe home with lakeviews and tons of potential plus membership to one of the best lakefront pier and buoy associations in the area, Lake Forest 3. Small kitchen leads to spacious great room. Large native fireplace and covered deck facing Tahoe. 1 bed, 1 bath downstairs. 3 rooms of equal size on the second floor: 2 are bedrooms; 3rd could possibly become a master bath. Large storage area below with laundry and more. Gentle hill behind house for outdoor living and lakeview. Original owners.